Ever wonder what those little voices inside your head are? 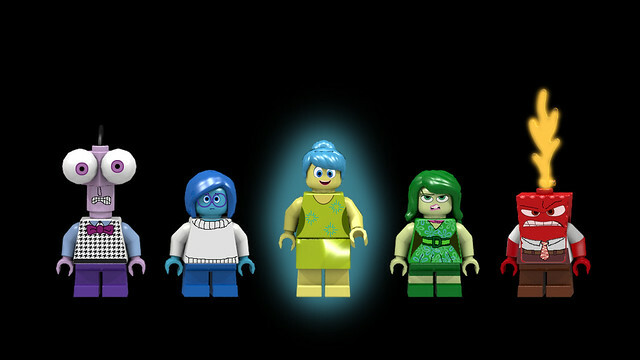 Meet Joy, Fear, Anger, Disgust and Sadness, the emotions that guide you through your daily life! Riley is a happy, hockey-loving 11-year-old girl who, like all of us, is guided by her emotions. The emotions live inside the control center in Riley's mind dubbed Headquarters. This is also where all of Riley's memories are created and where her core memories are stored. From here, the emotions advise Riley through everyday life, led by Joy. But Riley's world turns upside-down when she is uprooted from her Midwestern life and she and her parents move to San Francisco. Riley's emotions try to guide her through this difficult, life-changing event. However, the stress of the move brings Sadness to the forefront. Will the emotions be able to get Riley through this challenging part of her life? You decide! 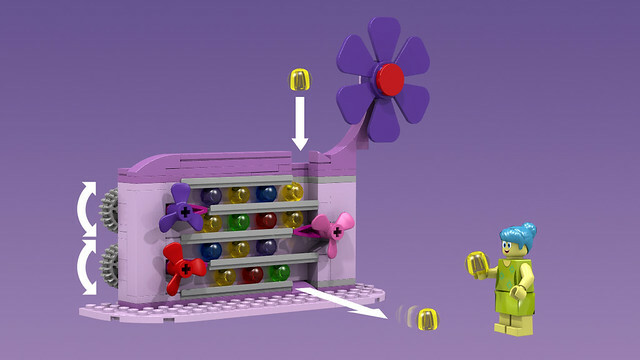 This is a Lego Ideas project that I designed using LDD, POV-Ray, and Photoshop. 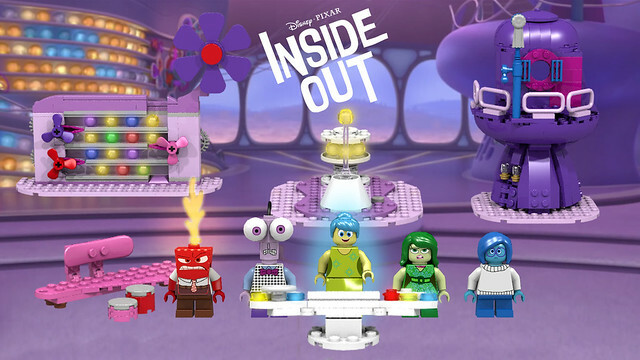 Based on Pixar's 15th hit animated movie, Inside Out, this playset depicts the inside of Headquarters. 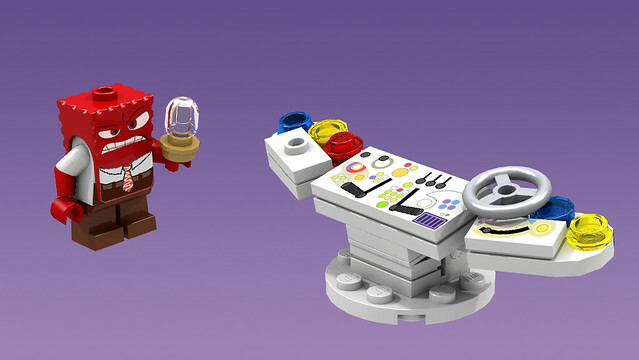 It includes minifigures of all five emotions and several key features of Headquarters such as the control console, the memory recall system, the core memories container, the tower, the memory shelves, and a couch with two footstools. Take control of the situation with the control panel! Propose an idea to Riley by placing an idea lightbulb from the shelves at the base of the tower onto the stud on the console! Place core memories into the spinning core container! Recall memories by placing them on the translucent pole over the tube. But watch out! Don't let Sadness touch them! Roll the memories down the shelves! Turn the knobs at the back to redirect them to the next lower shelf! Take a break on the couch and rest your feet on the footstools! When Riley goes to sleep, have the emotions rest in the room at the top of the tower! Accessories include a flame piece for Anger (for when he gets really angry! ), a notepad for Fear, a newspaper, a mug, and several memory orbs in the colors of each emotion. This project has been selected as today's staff pick! 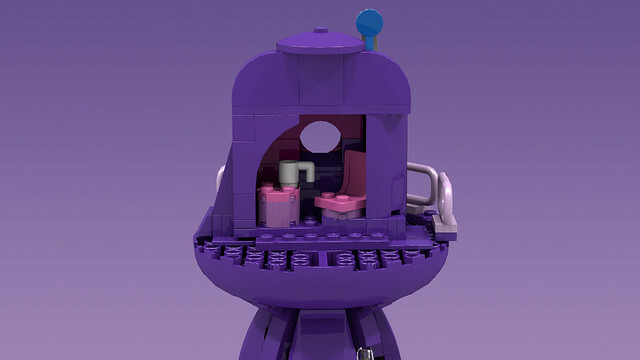 If you would like to have a LEGO version of the emotions and headquarters from Inside Out in your home, please support and share this project. 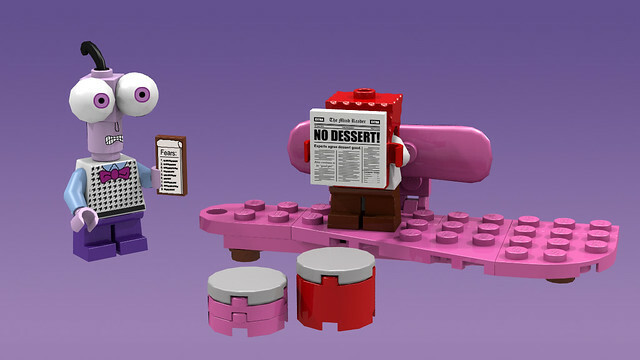 It would bring lots of Joy to me and many other Pixar fans if this becomes a real set! excellent job!! have supported and hope like crazy your idea makes it to retail. I saw this as the staff pick and supported right away! Hope this gets to be an actual product! Thanks everyone! The project already has over 520 supporters, putting it into the "Popular this Week" section! But there is quite a way to go still, so keep it coming! To quote Joy: "We can do this! This is gonna be easy! This is working!" Excellent job Oky I hope everything goes well and it becomes a set. This looks really cool. There's some really interesting methods, particularly in the figures. 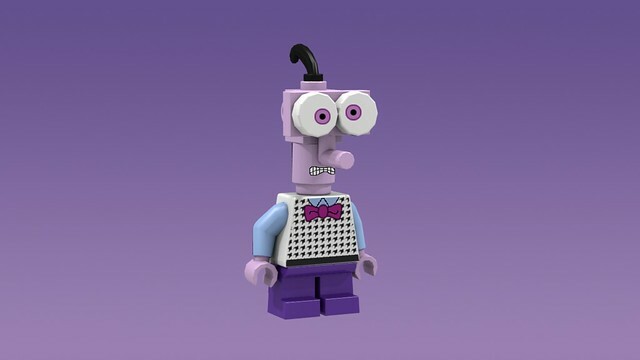 Has Lego ever used the Spongebob mold for anything other than Spongebob? And if not, are they allowed to, or is this one of the things where they're hamstrung by the Nickelodeon licenses? 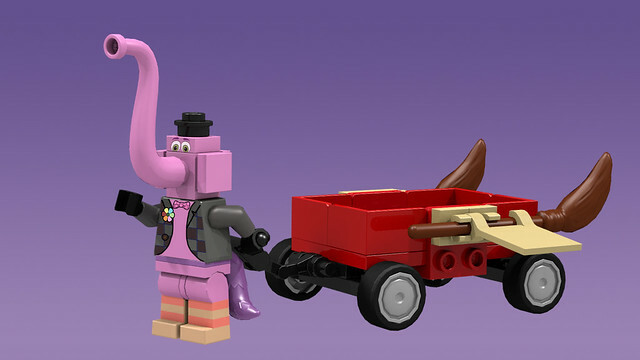 Your design for the film lends itself extremely well to Lego, and looks exactly how one would assume an official TLG set of this would look. Extremely good work Oky, and I'll be supporting it. 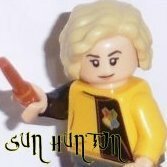 Excellent job on the minifigs too! Such perfect likeness! Thanks guys! The project has just hit 1000 supporters! Only 9000 more to go! 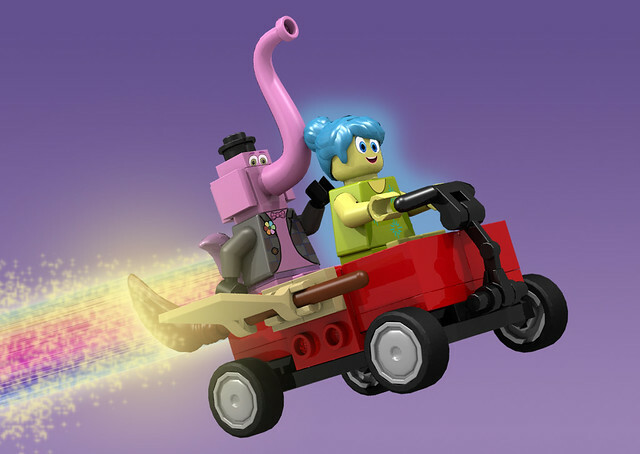 Has Lego ever used the Spongebob mold for anything other than Spongebob? And if not, are they allowed to, or is this one of the things where they're hamstrung by the Nickelodeon licenses? I don't think they have used it anywhere else and I'm not sure if they are allowed to, but I hope they are. If not, maybe they can find a substitute for Anger's head. So lovely! 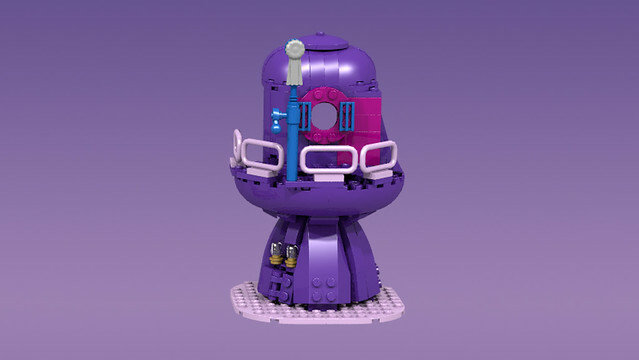 It would have been so nice to get such a set covering the whole headquarter. Really expect to see it pass! This is currently one of my favorite movies, so I hope this fantastic set makes it! Can't support right now, though, but I'll try when I can. 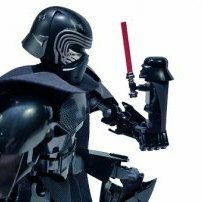 Fear seems like a big problem since he'd be better with a new mold, which is forbidden for Ideas. Who knows, they could get around it with a spinoff theme like Minecraft became. Haven't seen the movie, but this is pretty cool! You have my support! Thanks again everyone! Since some people have been complaining about the size of Fear's head (most notably his eyes), I have come up with an alternate design for it. It's still not perfect, but probably better than it was before. What do you think? That one looks much better. Perhaps a black whip would make a better hair strand? Like Fear much better now , what i would like is just regular eyes on all of them. Remember Clone Wars? Great work on this! 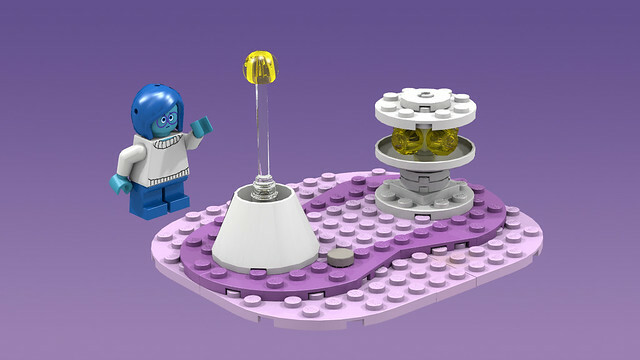 I loved the movie, and would totally buy the set. I supported. And I like the second Fear head much better. Thanks guys! I'm glad that you like it better now. Not a bad idea, but I feel the whip piece is a bit too big and too curly. It would make Fear even taller than he already is. 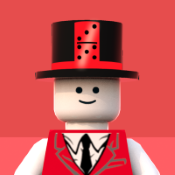 Besides, it's hard to do in LDD. Are their eyes that bad? I was going for more of a Spongebob look than a Clone Wars look (especially with Anger ). I like the way they are and I think that the big eyes are an important part of the cute look of the characters which would be ruined with the standard dot-eyes. 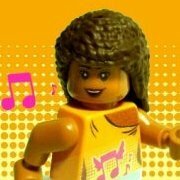 Nice MOC and a most clever use of the Spongebob headpiece. 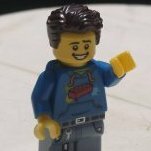 Thanks, BrickBuilder7622. And thanks to everyone who has supported this project so far! It already has over 2100 supporters! To celebrate the occasion, here is something that many of you have been asking for. His rocket makes you yell "Hooray!" I hope you like it and keep supporting and sharing. I hope you like it and keep supporting. Haha, awesome! I think the trunk should be a bit smaller but I dunno how else you could do it. Really nice! You havé my support! I just realized that the Zombie Businessman hair would work for Joy! Wait, does that mean she's already in the works?